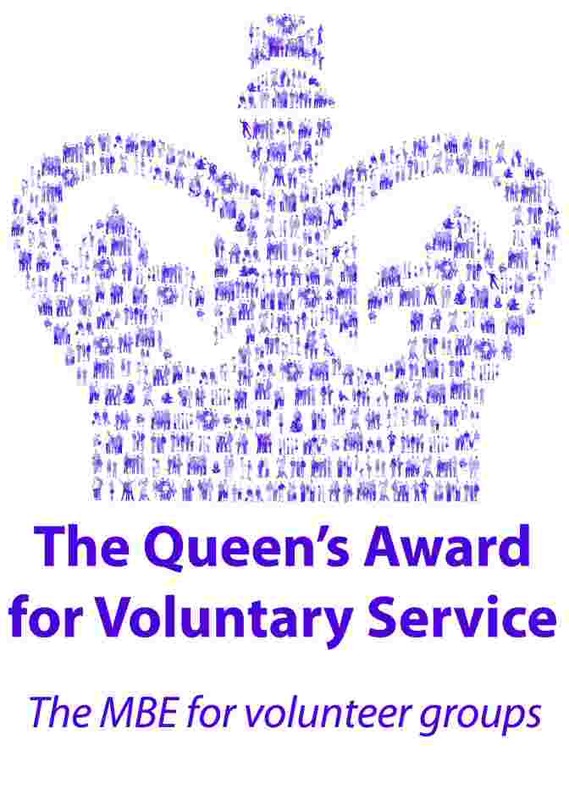 The prestigious Queen's Award for Voluntary Service 2014 honours 111 outstanding UK volunteering groups. Claymills Victorian Pumping Station recently celebrated the 20th anniversary of the first volunteer working party on the site. Since that first day, Claymills' progression from total dereliction to lively working steam museum with an exciting education programme, has been entirely due to the dedication, knowledge, refusal to give up, and hard work of its volunteers. We are delighted that those volunteers have won this award, in recognition of all they have done and intend to do in the future. This unique UK national honour was created by Her Majesty to mark the Golden Jubilee in 2002 and to recognise the outstanding contributions made to local communities by groups of volunteers. 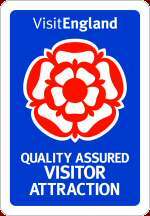 It has an equivalent status for voluntary groups as the MBE has for individuals. 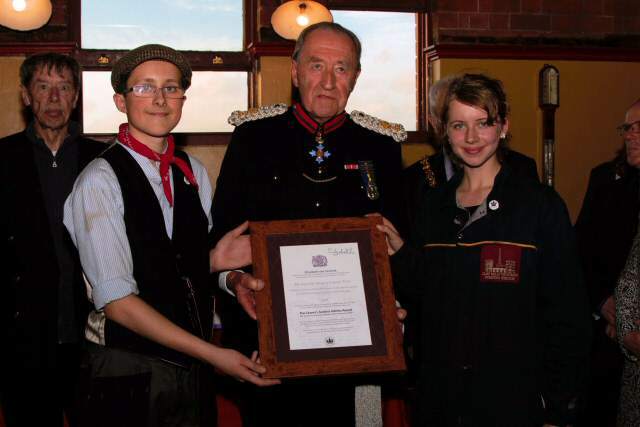 At the October steaming, The Vice Lord-Lieutenant of Staffordshire, Colonel Michael Beatty conducted the official presentation. 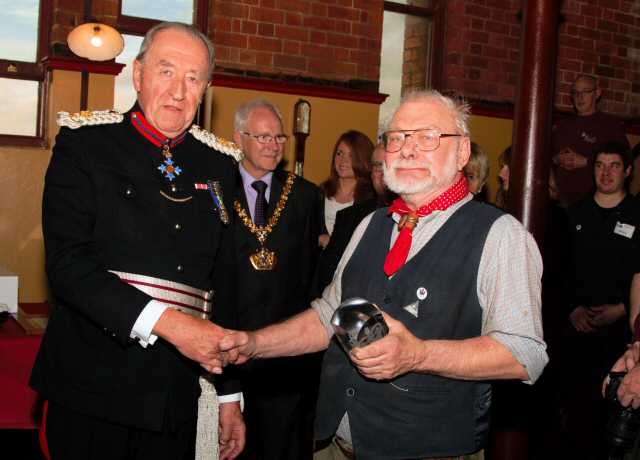 The commemorative crystal was presented to one of the longest serving volunteers, Bill Britland. The certificate, signed by Her Majesty, was presented to two of our Junior Engineers, Paris Alexander and Christian Mason. 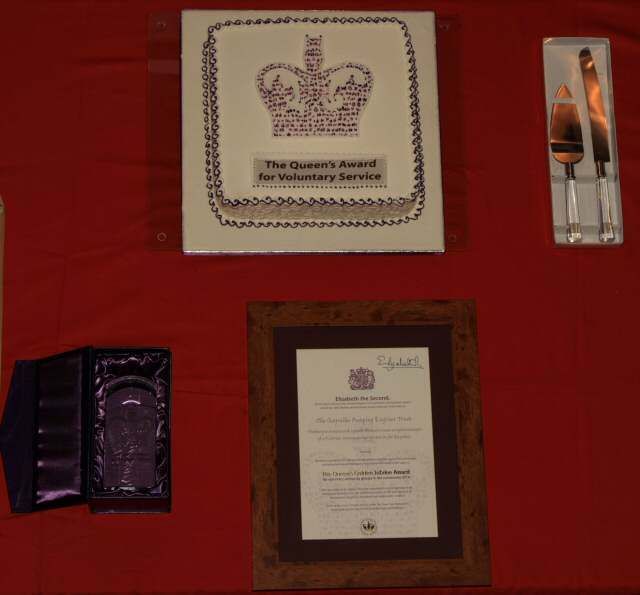 The commemorative crystal, certificate, signed by Her Majesty and the celebration cake.